If someone had told me a couple of years ago that in 2013, R.A. Dickey and Jose Reyes would be two key pieces on a contending team, Carlos Beltran would be batting second for a perennial winner and Angel Pagan would have a World Series ring as the leadoff hitter on the defending champs, I would be looking forward to the 2013 season a lot more than I am now. At least the Mets found the money to lock up David Wright. And while I'm sorry to see Dickey go, the Mets by all accounts got a great prospect haul for him. The improving farm system finally offers hope for the future. The worst thing about spring training was Johan Santana tearing his shoulder capsule again. I hope Santana is able to pitch again, even though it won't be for the Mets. This lineup was notable for the all-too-brief return of Seaver to the Mets. It also features someone I confess I have no memory of - Mike Howard. And no wonder - it turns out that Howard is one of just three major-leaguers since World War II whose last game was as a starter on Opening Day. ESPN's Mark Simon wrote about Howard in 2011. Even with the May 6 callup of Darryl Strawberry, who would go on to win Rookie of the Year, and the June 15 trade for Keith Hernandez, the 1983 team still won only 68 games. But in 1984, Darryl and Keith played a full season for the Mets, the team added Dwight Gooden, Ron Darling and Sid Fenandez to the rotation and Wally Backman took over at second base. Still to come were trades for Gary Carter and Bob Ojeda, as well as other moves and callups. So even if Wheeler and D'Arnaud come up during the season and are anywhere close to the second coming of Doc and Darryl, any comparison to the mid-1980s Mets will have to wait until we see how willing the Mets are to acquire established stars such as Carter along with top prospects. The 1983 Mets opened against the Phillies, who would go to the World Series that year. The Phillies lineup featured future Hall of Famers Mike Schmidt, Joe Morgan, Tony Perez and Steve Carlton, along with all-time great Pete Rose. And the Mets, behind 38-year-old Tom Terrific, won, 2-0. There's always hope on Opening Day. Let's Go Mets! Three Subway Squawkers readers may not be able to see R.A. Dickey at Citi Field anymore, but they have won copies of the KNUCKLEBALL DVD starring Dickey, Tim Wakefield, and their baffling pitch, courtesy of MPI/FilmBuff. Congratulations to our contest winners! From acclaimed filmmakers Ricki Stern and Annie Sundberg (The Devil Came on Horseback; Joan Rivers: A Piece of Work) this heartfelt, funny and deeply engaging film delves into the legendary subculture of the knuckleball and the brotherhood of men who share the drive, imagination and humility to throw baseball‘s slowest, most disrespected pitch. Filmed throughout the 2011 season, KNUCKLEBALL follows 37 year-old R.A. Dickey (New York Mets and 2012 All-Star) and 18-year veteran Tim Wakefield, formerly the oldest player in the major leagues and an icon of the Boston Red Sox, detailing their personal and professional triumphs of the season while exploring the bond between them and their only allies, the five living retired knuckleballers - Charlie Hough, Wilbur Wood, Jim Bouton, Tom Candiotti, and Hall of Famer Phil Niekro. KNUCKLEBALL is the story of these extraordinary men, and the sacrifices they made to a pitch that would come to define their lives. You can check out the DVD here. Remember the whole to-do this winter about how the Yankees came up with their own ticket exchange system with Ticketmaster, snubbing StubHub? And how the only way Yankee fans were going to be able to print out electronic tickets on the secondary market was with the Yankees Ticket Exchange? And that because of this, StubHub was going to have to open up a location by Yankee Stadium for fans to get their tickets before the game (a move the Yankees fought in court)? Well, guess what? The Yankees have cried uncle on StubHub, folding like a cheap suit on the electronic tickets issue. They will now allow fans to print electronic tickets from StubHub and other secondary market sites from a window of 48 hours to three hours before the game. Oh, and that three-hour window before the game also applies for the Yankees' own ticket exchange, so it's not like you can get the tickets any later from them. This is a huge, huge concession on the Yankees' part, and it takes away the need for StubHub to have that location by the Stadium. After all, if fans can print out tickets at home in that time frame, they won't need to go to a StubHub office to do so. Only thing is, nobody in the mainstream media seems to have noticed that the Yankees have made such a big concession. But blogger Bob of BobsBlitz.com did. 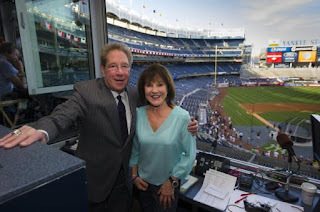 He wrote about how Yankee bigwig Lonn Trost, who talked last month on Mike Francesa's WFAN radio show about how fans would no longer would be able to get e-tickets from StubHub, has changed his tune. Yet Trost won't admit that the Yankees have changed their tune and reversed policy. He tried to act like this was the deal all along, and denied that this was a change in policy, even though Francesa kept on asking him about this. (Click here to see the video.) Granted, fans cannot download and print out the tickets before that 48-hour time frame unless they use the Yankees' official ticket exchange, but that really isn't a big deal for most people. A little over a month later fans have been bombarded with Yankee ads for season and single tickets. Banners, radio, TV. 24/7 -- why? Because they can't sell anywhere near the amount of tickets they forecasted internally. And the one way to, they hope, increase the worst sales they've seen in over a decade? Allow StubHub users to print tickets during a window of 48-3 hours before game time. You know, sorta like a partnership. Oh, and then lie about the 02/12/13 conversation to Mike Francesa to cover up the change of course due to the poor sales. Yep. I've noticed the Yankee internet banner ads everywhere. I have also noticed that there are plenty of tickets available, even for opponents like the Red Sox and Mets, on Yankees.com, and that discount sites like Goldstar.com are offering half-priced tickets for the Yankees. And don't forget that if tickets are not sold on secondary markets, or if would-be season ticket holders won't buy tickets because they are afraid they won't be able to resell them in those markets, that this means those seats will be empty. This not only looks bad on TV, but it means fewer sales at the concession and souvenir stands. So after all the smearing we heard from the Yankeeland front office this winter, insinuating that StubHub was the reason for everything bad facing the Yankees, now the team has caved on letting them sell those tickets. I have to wonder when anybody in Yankeeland will ever face any accountability for making such bad decisions. Picking a fight with StubHub, who is an official partner of MLB, never seemed to make any sense. Yet the front office has spent more time on that this winter than with coming up with a coherent plan for this team's future. And the NYC sports media doesn't seem to notice -- or care. Shocking. I always have to laugh when I hear people talk about the tough New York sports media. You mean the ones who are Brian Cashman's spin doctors, who will carry his water for whatever ridiculous move he makes? Even now claiming that the Vernon Wells deal is somehow smart? Spare me. The New York Post claims: "Deal for Wells makes $ense for Yankees," while the New York Daily News sez that "Vernon Wells, despite his hefty contract, could actually help Yankees get under luxury tax threshold." Only in the crazy world of Cashman's feeble mind is this a good deal. This is like putting in $100 in the slot machines, getting back $10, and thinking that you "won." Even if the Yankees somehow get a million or so "credit" -- which I doubt will happen -- next year, how is raising the payroll to $221 million this year by spending $13 million on Wells a good idea? None of the knuckleheads in the media seem to acknowledge that the Yanks will have to pay luxury tax this year on the money, arguably making the $13 million a lot more than that when all is said and done. Or that this sort of deal can financially hobble the team this year, keeping them from making real changes. ...even if Wells can hit left-handers, why pay $13 million for that skill? The easiest thing to find in baseball is a right-handed corner outfielder who can hit lefties. There are guys in Triple-A who can do that for the league minimum. So the Yankees just acquired a hitter who was bad in 2007, bad in 2009, historically awful in 2011 (.248 OBP, lowest OBP by a full-time outfielder since 1904) and bad again in 2012. But it's all good, because they are really somehow "saving" money on this. Good grief. Has Brian Cashman lost his mind? I haven't squawked much lately because I don't really want to be a Swanny one-note, writing nothing but gloom and doom about the state of the Yankees. Especially when it comes to the madness of Brian Cashman. He is a terrible general manager, but our lousy front office seems to be fine with no matter what he does. And the media gives Cashman a pass, too -- more than they even did with Joe Torre. It's gonna be a long season -- I was recently interviewed for my thoughts on what the Yankees would do this season. I predicted they wouldn't win more than 86 games or finish higher than third. And that was before the news of Derek Jeter's setback. Anyhow, two things happened today that are insanely dumb, even for Brian (Fredo) Cashman, which made me feel like I had to squawk about them. The first is the pending trade for Vernon Wells. Because he's old, and broken down, and makes a lot of money, he attracted the eye of Cashman, of course. Yet, as my Facebook friend Mike pointed out, the Yanks only have a hole due to Granderson being out for a month or two. Why trade for Wells when he has two years left on his contract? Tell me Melky Mesa couldn't have done better than Wells. And so what if Anaheim is picking up a lot of Wells' salary? The Yanks reportedly are still going to have to pay $12 to $14 million over the next two years for him. Wells is one of the worst players in MLB right now. What a dumb move it is to get him. During the winter, the Dodgers usurped the Yankees as the game’s premier spenders. Cashman appears more than willing to cede that title. The Yankees will never feel like underdogs, he said. But they can adopt their rhetoric. "Look at Vietnam," he said. "The biggest payroll didn’t win there, either." What an incredibly dopey analogy. It never makes much sense to compare baseball to war -- it trivializes war, for one thing -- and this particular analogy turns a complicated issue into a dumb comparison. At any rate, what is it going to take for Brian Cashman to lose his job? It's just ridiculous how much he gets away with. Again, it's going to be a long season. You may not be able to see R.A. Dickey at Citi Field anymore, but you can still enjoy the DVD starring Dickey, Tim Wakefield, and their baffling pitch. 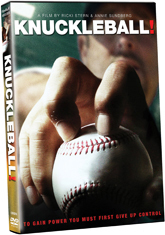 Subway Squawkers is giving away three copies of the DVD KNUCKLEBALL, courtesy of MPI/FilmBuff. To win a copy, please send an email with your name and mailing address and KNUCKLEBALL DVD in the subject line to subwaysquawkers@gmail.com. Three winners will be chosen at random. Contest is open to residents of the continental United States. Contest runs until March 28 at 5 P.M. When Yankees GM Brian Cashman started his "look at me, I'm rappelling" nonsense a few years ago, I got hate mail from his minions for daring to criticize his immaturity. Apparently, if you act like a complete knucklehead, risking your life and health, but it's for charity, it's perfectly acceptable to some people. I wondered then about what would happen if something went wrong then, and he got hurt. Now Cashman, who appears to be both bored and reckless, a bad combination, has a broken leg and a dislocated ankle thanks for his breathtaking irresponsibility. And don't tell me it's cool because it's for charity -- in this case, to raise awareness for the Wounded Warrior Project. He could get publicity for the organization by writing them a check, too, but that wouldn't involve the "look at me and how cool I am" act. Gee, and I thought it was all about the charity. No, kids, it's all about his self-aggrandizement. What's next, trying bath salts because he hasn't done that before, either? And really, if he wants to do something he hasn't done before, how about drafting a pitcher who becomes a long-term ace for the Yanks? Or making a good trade in which the Yankees get the better end of the deal without overpaying? Do you remember what Derek Jeter said about undergoing similar surgery Cashman did, and the aftermath? How Jeter, who never has been known to complain about health issues, called it an "absolutely terrible" offseason, and said he had to learn how to walk again, and got around on a motor scooter for over a month? But Jeter got hurt playing all-out to help his team, not being a dumbass to promote himself. And he also had the offseason to recover. Our idiot GM will have to do this while doing his day job, too. Good grief. My late father was a paratrooper in World War II, jumping out of airplanes to defend his country, not to prove how cool he was. He also was a real wounded warrior, getting a Purple Heart in the process. For Cashman to compare himself to true wounded warriors like my father and the men and women wounded in Iraq and Afghanistan serving their country is the height of offensiveness. And the only "awareness" Cashman is raising is of what a dolt he is.